"I have converted over 100 H.265 (.mp4) Blu-Ray Movies and can’t play on the WD-TV. The WD TV 2nd technical support told me that WD current not supporting the H.265 (.MP4) Format. Can WD update their firmware and start supporting the H.265 (.mp4). This standard is the industry standard since 2013." 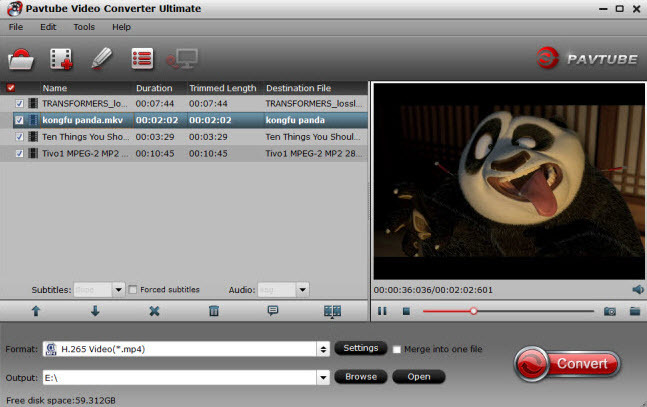 To record long hours of 1080p Blu-ray movies, H.265 is the idea compression schemes since it can encode movies with much smaller file size but the same quality as movies encoded with H.264 MP4. However, one problem is that H.265 MP4 codec has very poor playback compatibility, you will sadly to find that your WDTV does not support H.265 compressed Blu-ray disc. There are lots of Blu-ray ripper tools on the market, however, many of them only have support for H.264 encoded Blu-ray disc. 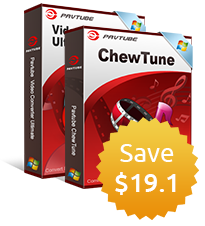 Fortunately, there are one application called Pavtube Video Converter Ultimate, which combines the function of Blu-ray Ripper and H.265 Decoder, you can easily transfer and play H.265 MP4 Blu-ray movies on WDTV by converting Blu-ray disc to the above listed formats supported by WDTV. Step 1: Load Blu-ray H.265 MP4 files. 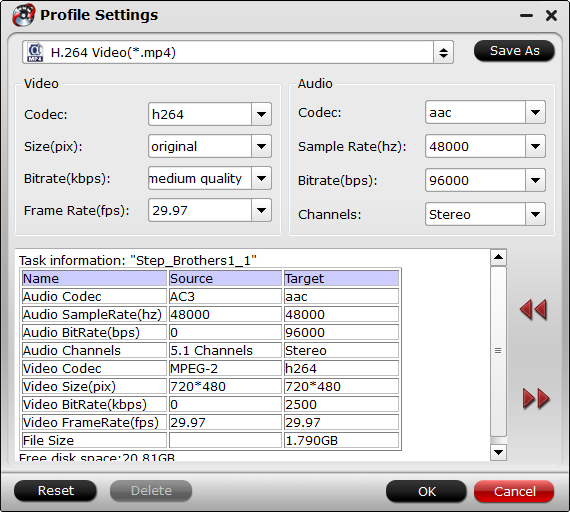 Click "File" menu to select "Load from disc" to import H.265 MP4 Blu-ray disc movies to the program. 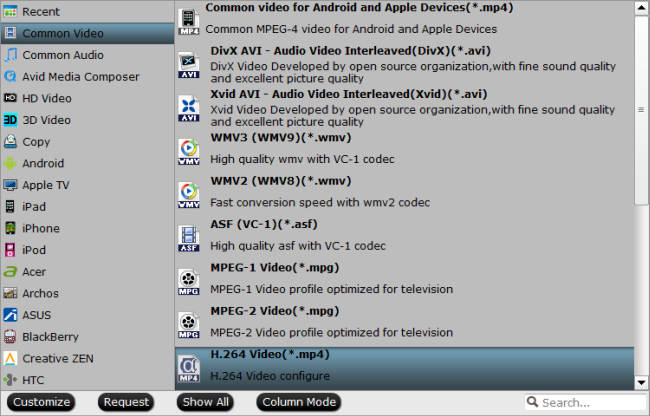 From "Format" drop-down list, select "Common Video > H.264 Video(*mp4)" as the output file format to play on WDTV. For better playback Blu-ray movies on WDTV, you can adjust the output video parameters according to your WDTV video playback specifications. Step 4: Convert Blu-ray H.265 MP4 to WDTV. Carry out the conversion process by hitting right-bottom "Convert" button to decode H.265 MP4 Blu-ray movies to WDTV supported H.264 MP4. When the conversion is done, feel free to transfer and stream H.264 MP4 Blu-ray movies on WDTV.